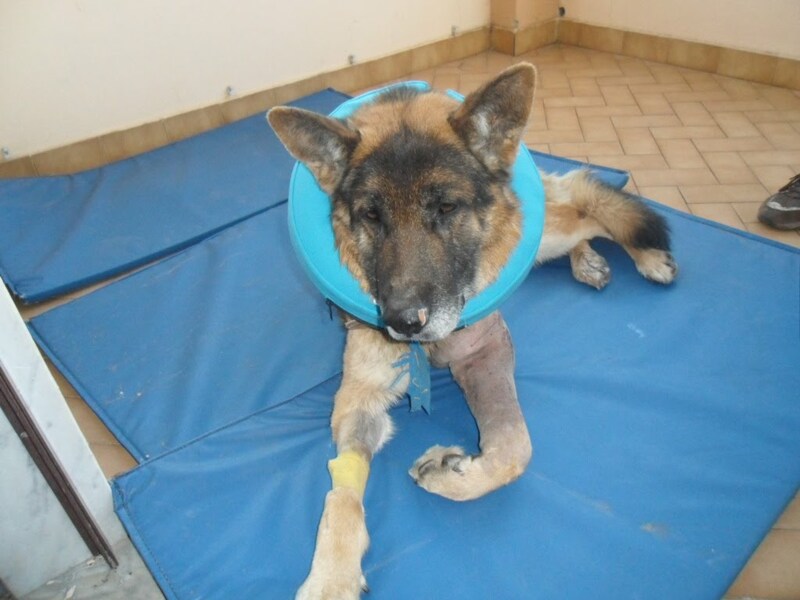 This is Frank, a beautiful German Shepard probably between 7-8 years old. Frank was found on a busy street (highway), in Neaples. 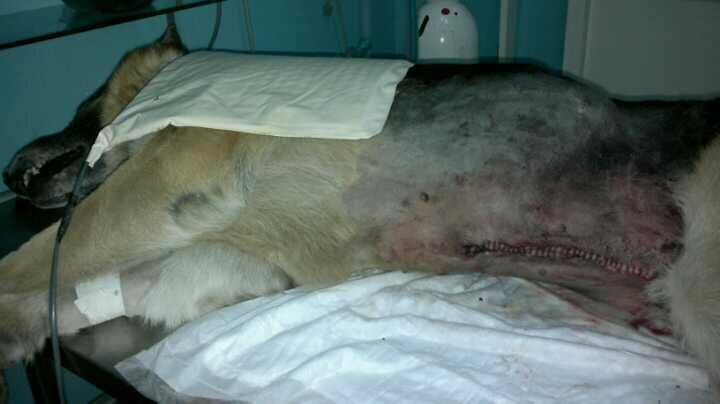 He had been hit by a car, and left to die. Francesco and Melania, two volunteers from Naples, just saw Frank, stopped to see if he was alive… Frank was sick, very sick, but he was alive. 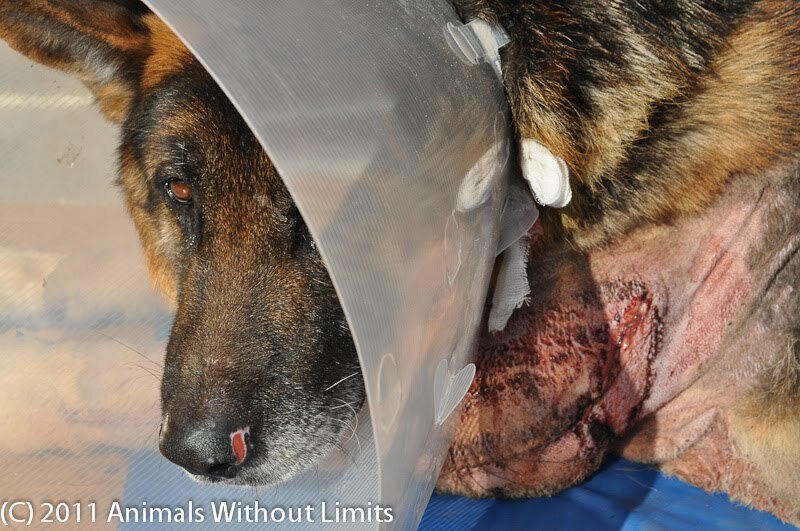 They took Frank to a veterinarian were he had to go through several surgeries. 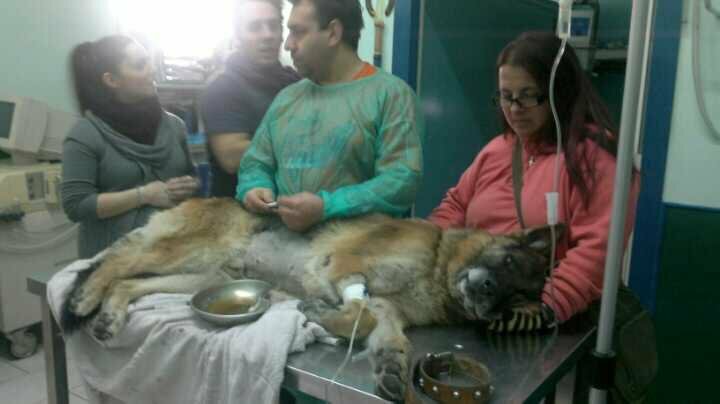 The vet had to remove the spleen and stop internal bleeding. His left front leg is fractured, so far no surgery on that one. Chiarra and Francesco came with Frank to Casa dell’Amore (hospice & recovery center) and what a trooper. He will stay for two weeks and hopefully a home will be found. He is such a big sweet loving guy who need a forever home that can have him and pet him all day long. Tomorrow we are bringing him in to get checked at dr Damiani’s clinic. Keep your paws. A big warm hand to Francesco and Melania for stopping and checking if the dog was alive. I get scared of thinking how many that are still alive laying on the highway. 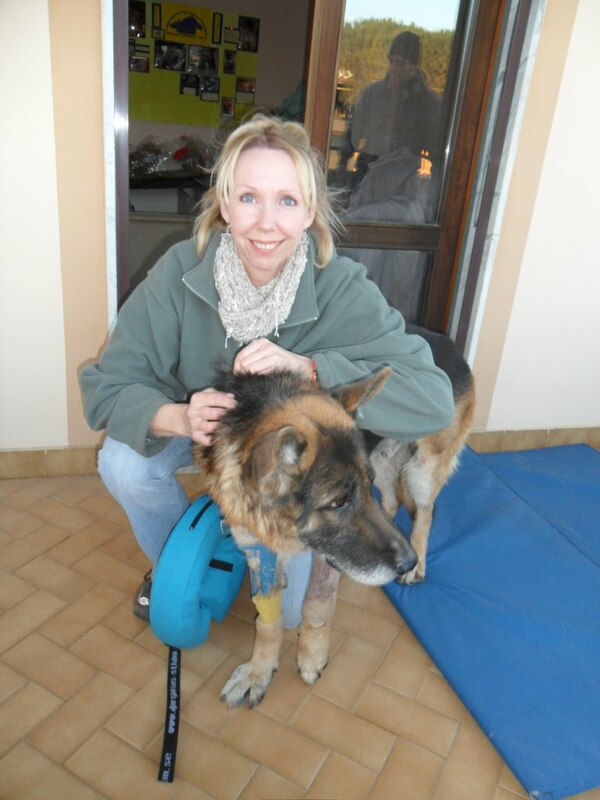 Chiara Ricci for helping Frank and taking care of him and thank you ALL for your support so Frank can recover at Casa dell’Amore AWL. Without your donations we cannot exist.